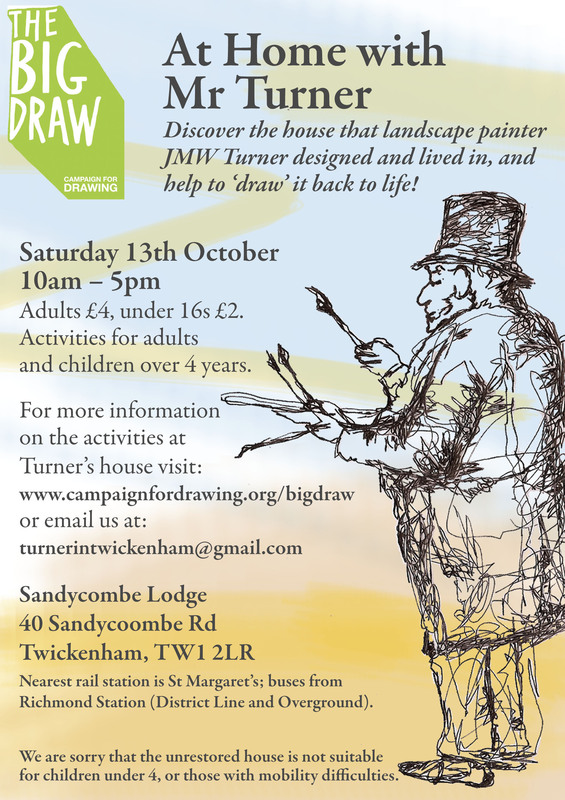 At Home with JMW Turner: Come and draw in the country villa of Britain's most famous artist, Twickenham's best kept secret. 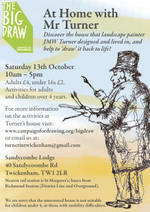 We are holding a Big Draw family event on Saturday 13th October, 10am-5pm at 40, Sandycoombe Road, Twickenham TW1 2LR. Activities for adults and children over 4. Adults £4, under 16s £2. Good public transport with buses from Richmond station and St Margarets station nearby. Note: we are sorry the unrestored house is not suitable for under 4s or those with mobility difficulties.